A warm, large and safe external bungalow approximately 5 x meters. I am looking for a student that is warm, friendly and doesn't mind a dog pet. The fee covers all bills, a fortnightly clean of the house and room and the internet. The total fee is $860 per calendar month. You will live in a part-time family home with a working female and a medium friendly sized dog Pepper - who is pictured. We operate on a week on, week off schedule. I have two older children both boys, one is 9 years old and the other 15 yrs old. I am an artist and teacher and pretty easy going. A 4 bedroom, one bathroom, two toilet house with medium sized kitchen, garden and large undercover area (not pictured). 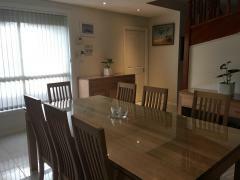 The location is connected to the local shops and gym — The house is very close to La Trobe University and Northlands Shopping Center. Both can be reached by regular bus timetables or bike. The bus takes 5 minutes and the bike 10-12 minutes. 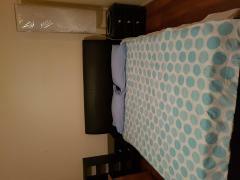 It is just off Murray Road and near Darebin creek. 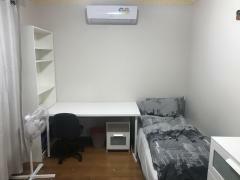 The furniture displayed in the room is there for you to use and an additional desk, desk light, and king-single bed will be placed there too. The 251, 250, 350 buses leave regularly from the adjoining street to the city, with many additional buses to Preston and Rosanna train stations, or you can catch the 86 Tram from the corner of Murray road and Lower Plenty Road. It is 25 mins to town by car (off-peak). I like to ride my bike to Preston or Rosanna stations, which can arrive at within 10 mins (or bike to Fairfield or Alphington Stations is 25mins). If you have any questions please PM me. I look forward to hearing from you!